While Easter egg hunts and family dining specials are in the books for this year, we’ve got a special recap of our favorites from the weekend. At the very least, you’ll have a head start on knowing what events and specials to hit up next Easter! Belmont Easter Brunch – The most iconic amusement park in San Diego, CA offered up a delicious buffet-style brunch to go along with a massive Easter egg hunt that cost only $5 per kid. It’s an awesome meal at an awesome place, and something we’re already looking forward to for next year! Easter Bunny Tea at the Westgate Hotel – A much classier event, this tea party included kid-friendly petit-fours and mini pastries served with afternoon tea. A magician provided the entertainment and kids were given a chance to meet the Easter Bunny. And, like everything else over the weekend, it included an Easter egg hunt, too. San Diego Zoo – The area’s #1 attraction couldn’t stay out of the fun, offering a buffet brunch with omelet bar that comes with free zoo admission afterward. Considering how nice the weather ended up being, we’re sure it was great for everyone who showed up! 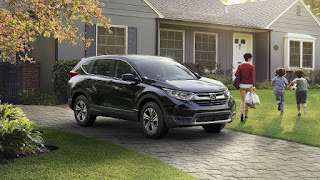 As your Honda dealership in San Diego, we hope you had a fantastic Easter this year, and here’s to hoping the spring that follows is just as delightful! The very first Safety Support has shipped something second to none here at Chateau Marmot that's dependable, expert as well as diligent really worth recommending. Administration and Guards was expert and friendly navigate to this website.